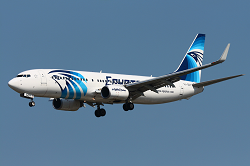 The egyptian passenger aircraft was vectored to an ILS approach to runway 04L at Copenhagen Kastrup International Airport, descending to 4000 feet when conflicting traffic appeared nearly at the same altitude and heading. A private Cessna 172 (registration OY-AKH) on its way from Roenne, Bornholm to Roskilde Airport, west of Copenhagen was flying under visual flight rules (VFR) at 4000 feet as well. While the passenger jet was in contact with Copenhagen Approach, the Cessna 172 was in contact with Malmoe, Sweden on a different frequency. 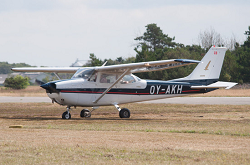 Danish accident investigation authority (HCL) reported that the smaller aircraft´s transponder did not give any altitude readings preventing a automated conflict detection by STCA (ATC) or TCAS (inside the cockpit). It is estimated that both aircraft passed each other extremely close with a lateral distance of only 0.1 nautical miles at about the same altitude. 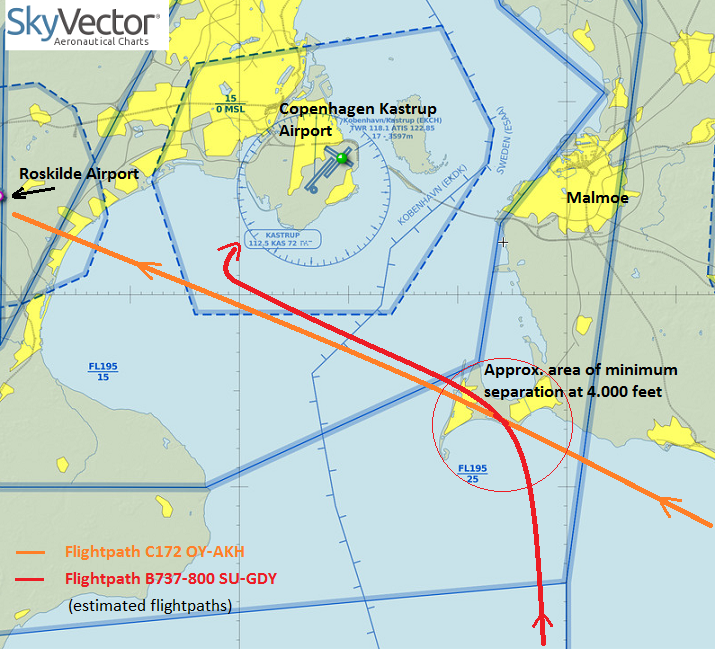 The conflict occured about 1 nautical mile east of Falsterbo, Sweden. At the time, local weeather was fine with clear skies and good visibility. After the conflict, both aircraft proceeded normally to their destinations. The Danish authority has launched an investigation.